How does Horizons impact academics? Students are challenged academically, socially and physically each and every day of the Horizons six week summer program. Using our proven innovative model, students gain an average of two to three months in reading and math skills as well as develop a lasting love of learning. The 2019 summer theme will be: Lead…it’s what we do! – Seek first to understand…then to be understood. Plans are underway now for summer 2019. Visit our Students and Families page for more information on summer enrollment! Increase reading and math knowledge by 2-3 months. Benefit from 1:1 and small group reading instruction by reading specialists. Experience hands-on STEM projects, specific to each grade in the program, K-8. Gain valuable instruction with a 4-to-1 student/teacher ratio. Learn to swim with a 100% success rate. We want our students to continue year after year with the Horizons summer program. By working with each child summer after summer, we are able to test them regularly and assess their progress over time. Typically, students enter Horizons in kindergarten or first grade and stay with us for 9 years until the summer before high school. Many students return after graduating to volunteer or teach at Horizons. Our program goes beyond just academics. Our goal is to teach every child to be confident and passionate about who they are and what they have to offer the world. This teaching goes beyond academics, straight to the heart of each child. Horizons fosters a love for learning that is brought into the classroom when school resumes in September. At Horizons we have discovered that through a unique partnership with community organizations that can offer field trips for learning about the arts and business, our children grasp the possibilities and become excited about the dreams that are now within their grasp. We also spend time to help them understand the importance of taking care of their health through nutritional and physical education. Every child who enters the Horizons program learns to swim. 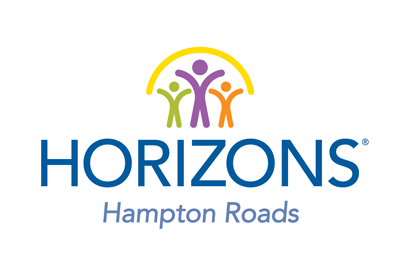 Horizons Hampton Roads is helping over 400 students through a unique summer enrichment program in Norfolk, Portsmouth, and Virginia Beach, that challenges and inspires young minds academically, socially and physically to gain greater success in school and in life.